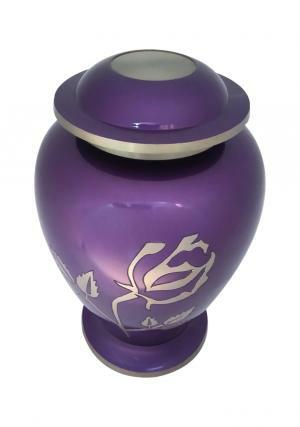 Avondale Silver Rose Purple Adult Cremation Urn is made from solid brass metal with the enamel of pearl purple. 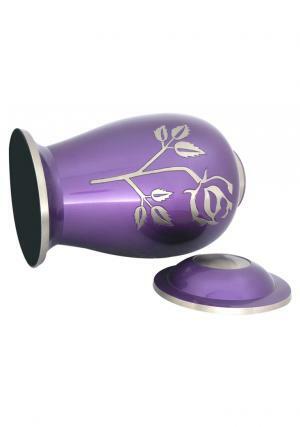 The Adult large purple urn is hand carved from skilled professional and coated with lacquer for a long lasting brilliance which is a silver rose decorated at center of the urn. 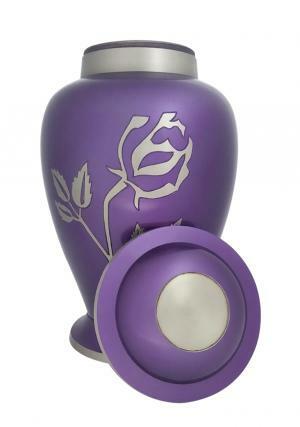 The large adult funeral ashes urn comes with a threaded lid to secure the ashes of the loved one’s and lid is decorated in purple with edges as silver band. The urn has a threaded lid opening at the top and for an easy closure. 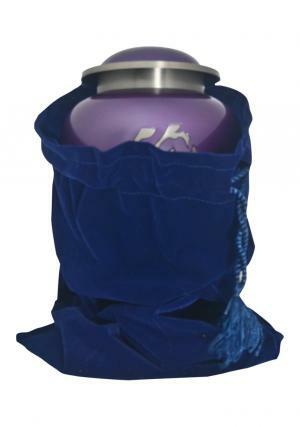 The urn has a felt bottom and capable of preserving ashes of 200 cubic inch. 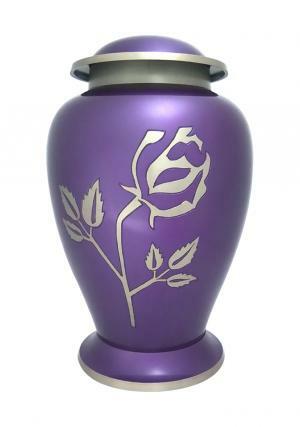 The measured weight of adult urn is 2.35kg, 10.24 inch height and 6.7 inch width.